At Mom Style Lab, we have a soft spot in our heart for children’s causes. 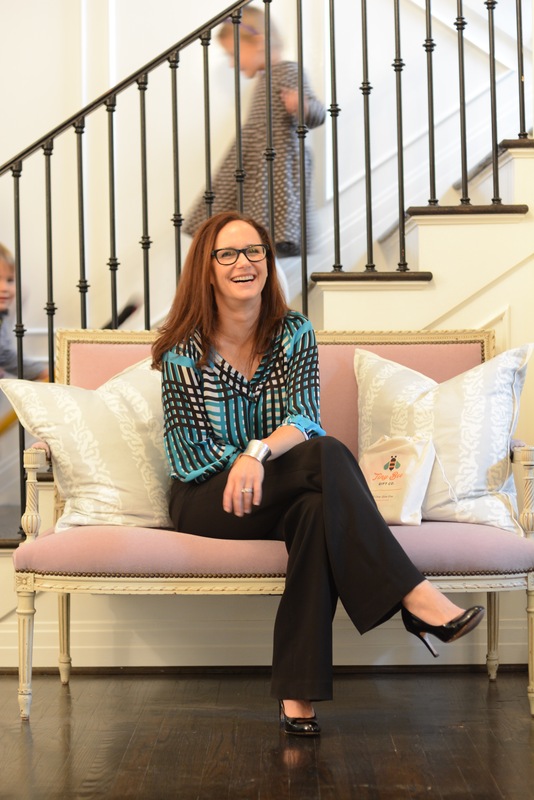 Our Mom Muse Amy Bean does too and has made it her goal to give back and help promote children’s literacy. As a mother of three young children — Max (6), Riggs (6) and Henry (3) — Amy always felt a little guilty about the amount of money she spent on children’s gifts. She wished there was a way to not only give a special gift to the honoree, but also give an equal gift to other children that might need it a bit more. The Bean family on the beach in Nantucket. Her solution? 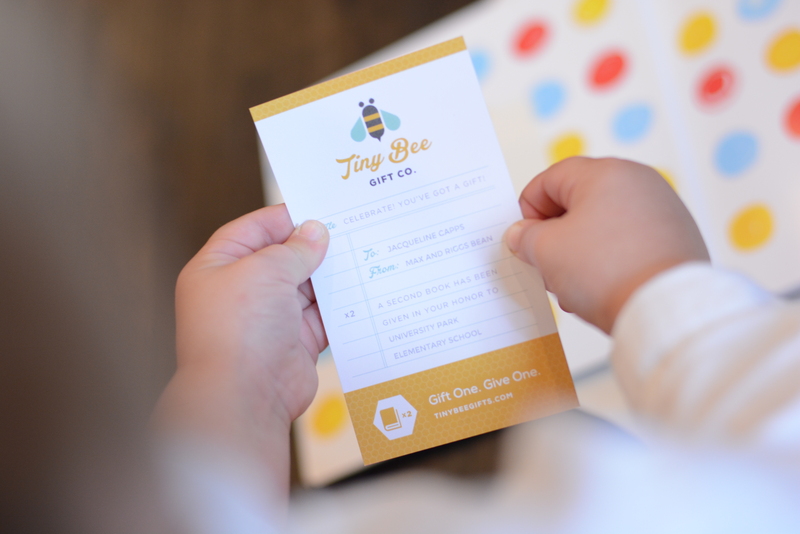 Amy founded Tiny Bee Gift Co., a social enterprise that provides meaningful, personalized gift options for babies and children, while simultaneously reinforcing the concept of giving back. Through the Tiny Bee website, we can shop for books by age range to find the perfect one (or more!) for the child you are buying a gift for. For each book that is purchased, a second book of equal value is given to the school library of your choice. Where the book gets donated is up to you. You can choose to donate the second book to your local school library, a school library in your own town that might need it more, or let Tiny Bee make an impactful school library donation at a school that needs it most! The concept is simple, “Gift One. Give One.” We love this! All Tiny Bee books come with a personalized enclosure card that tells where the second book has been donated. Photo Credit: Emily Schwarting. A sticker reminds kiddos that a second book has been given in their honor. Photo Credit: Emily Schwarting. Born and raised in Dallas, Amy earned her B.S. degree from the University of Texas and a Masters of Public Policy from the Harvard Kennedy School. While at the Kennedy School, she was exposed to social enterprise, the idea of using commercial strategies to tackle social problems. Among her work experiences, Amy enjoyed working on a microfinance initiative with an amazing social entrepreneur in rural India and at a women’s business training center in Boston, Massachusetts. Most recently, she worked as Executive Director of a Dallas-based nonprofit that started and supported all-girls, college-preparatory public schools for low-income students. Amy in Mhaswad, India working with a women’s savings cooperative — social enterprise in action! In her spare time, Amy loves to travel. 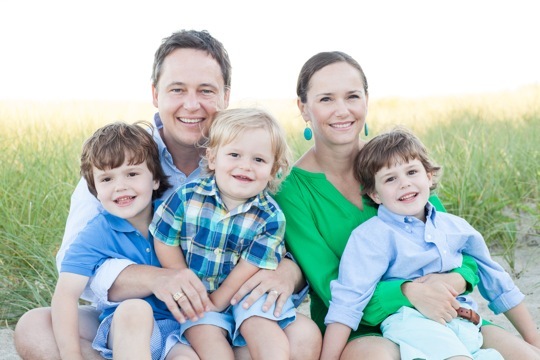 Prior to having kids, she and her husband Brandon spent all their free time traveling to far-flung locales like India, Ecuador, Italy and Dubai to name a few. Fast forward to present day and the family of five still travels, but generally closer to home. Favorite destinations include visiting Amy’s Grandma in Nantucket and Brandon’s parents in New Mexico. When she’s not traveling, Amy can often be found outdoors hiking or biking, and enjoys riding just around the neighborhood with the kids or occasionally taking a more serious adventure. 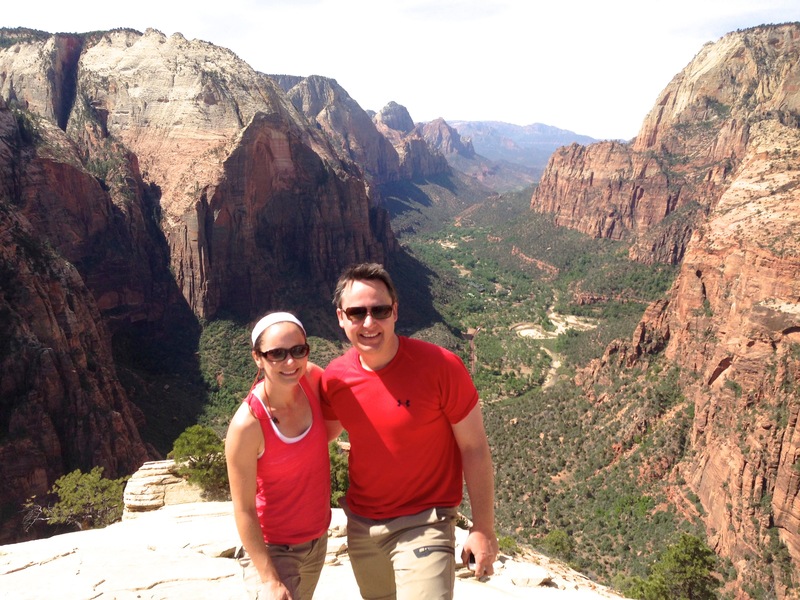 For Amy’s recent birthday, she and Brandon hiked and biked their way through Bryce, Zion and Grand Canyon National Parks. Amy and Brandon hiking in Zion National Park. 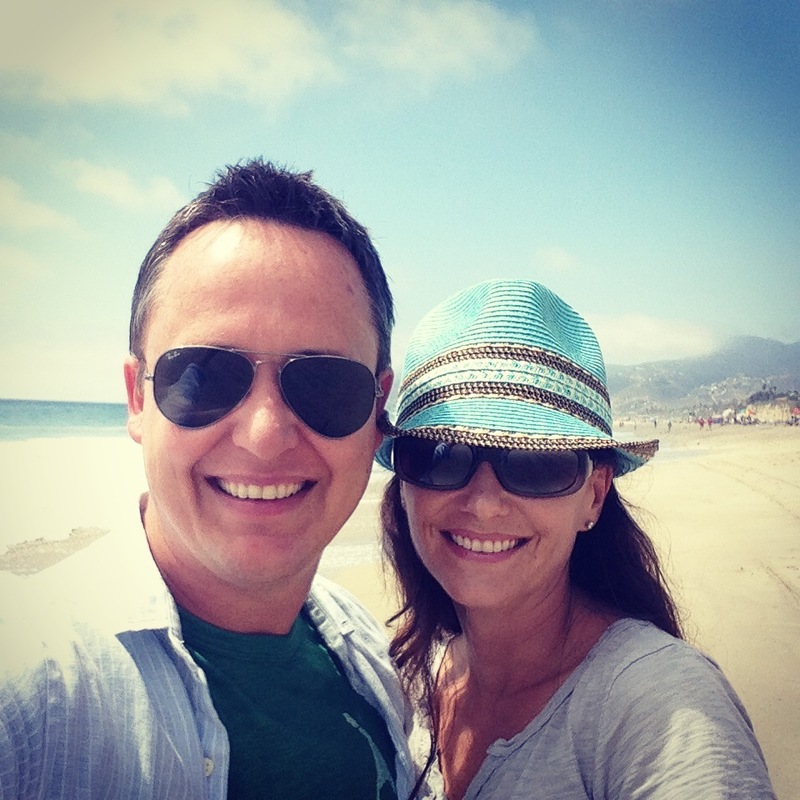 The couple vacationing in Santa Barbara, California. MSL: Describe your style in five words or less. Classic with a bohemian vent. MSL: What do you like best about your job? What’s the biggest challenge? I love owning my own business. It has been fun to constantly figure out new things and think strategically about how to solve the challenges that pop up every day. And of course, I believe so strongly in instilling kids with a love of reading and a strong interest in giving back. MSL: What is your long-term vision for Tiny Bee? Any plans to expand beyond books? 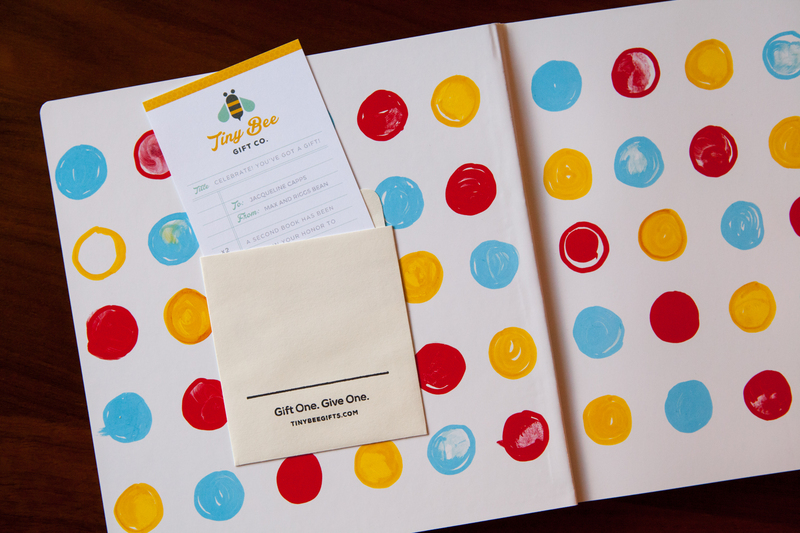 While in the short term, Tiny Bee Gift Co. will offer books only, we are certainly interested in further pursuing the idea of the “Gift One. Give One.” model for different products. There are many other products that make special, simple gifts for children or babies, and align nicely with the “Gift One. Give One.” mantra which is core to our model and mission. MSL: What has been the biggest moment of your career so far? Since I have worked in the world of philanthropy, I have had many moments that have impacted me deeply. Often times, they are simple moments… finding out that a girl who was the first in her family to think about attending college, had gotten accepted; helping a woman to start a business that would support her family; and in my current role, I am anxiously awaiting the day when the power of Tiny Bee gift giving is funneled into transforming school libraries in need into wonderful places full of hope and promise. Tiny Bee Gifts come wrapped and ready to go! Model: Amy’s niece, Tally. Photo Credit: Brad Bean. MSL: What’s the one item in your closet you can’t live without, that makes you feel both chic and comfortable? I especially love items that have great memories attached – many come from travels around the world. Years ago I bought a great pair of black boots out of a little shop in Milan. Those boots are still stylish and fun all these years later. MSL: Do you have any tips on how you streamline one’s morning routine? With three kids and a business, my routine is so streamlined that sometimes it is almost non-existent! I’m sure lots of moms can relate to that. In all seriousness, I can adjust how long it takes me to get ready depending on how much time I have and what I have on my plate for the day. Lots of days my hair goes up and makeup is minimal. On the days when I have more formal meetings, I’ll build in extra time to polish up my look. MSL: Developing a unique style comes at an early age for some children. Do you let your children choose what they’re going to wear? How do you talk about getting dressed with them? With my three boys, it has been interesting to watch how kids either do or do not have a natural interest in style. One of my boys has always put together cool pieces and is able to pull off anything. Both of my twins do pick their own clothes, one with more success… I’m not telling which one! 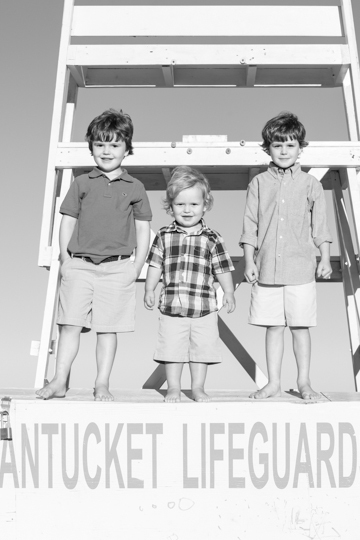 Amy’s boys – Max, Henry and Riggs. MSL: Tell us something about yourself that people would be surprised to hear. I don’t spend much time shopping. When I was little my mom loved to shop so much that when someone asked me where I lived, I told her I lived at the mall. I think I’m just trying to even things out these days. 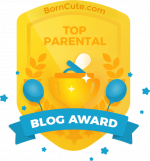 MSL: What’s your best style advice for other moms out there? Video | From Velvet to Personalization, Let’s Talk Fall!